Jessica Pratt Sends Out 'Quiet Signs' of Cosmic Brilliance Pratt's music has an idyllic, tranquil, elusive quality. In her realm, the smallest sighs or vocal gestures can unlock alternate narratives, meanings, implications. Jessica Pratt's Quiet Signs comes out Feb. 8 via Mexican Summer. French composer Erik Satie, an under-recognized forefather of musical minimalism, once explained his creative process as follows: "I took to my room and let small things evolve slowly." 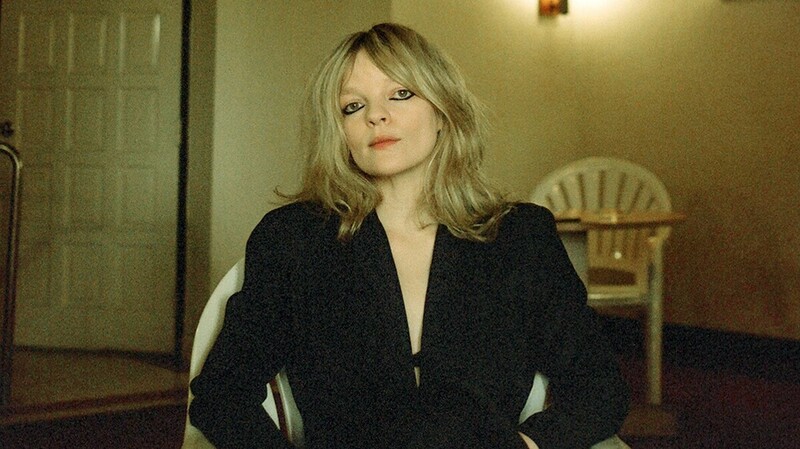 Singer-songwriter Jessica Pratt, whose third album opens in a Satie-style reverie, makes her art out of small things. She starts with deceptively simple elements: placid two-chord vamps outlined cleanly on nylon-string guitar, with melodies that could have been inspired by a "Teaching Little Fingers to Play" piano method book. The basic nature of those foundations would seem to be a shortcoming: Drop in randomly on any of Quiet Signs' nine tracks, and you might conclude that there's not much going on behind the washes of fuzzy-making, edge-obscuring reverb and sonic processing. Most songwriters aspire to a certain cleverness in terms of form or language; Pratt goes for the opposite. She's an upper-atmosphere conjurer, chasing swirls of hypnotic sound more often than she pins down pseudo-profound observations about life. Her music has an idyllic, tranquil, elusive quality. In her realm, things evolve slowly, and the smallest sighs or vocal gestures can unlock alternate narratives, meanings, implications. The richness of her work isn't necessarily found in line-by-line analysis of a tune's message; indeed, the words of Quiet Signs are often obscured and intentionally indistinct. Even the album's most straightforward and earnest declaration — "Here My Love," a morsel of '70s-soul sweetness on the theme of devotion — is swathed in shadows. As a result, appreciating what Pratt does means suspending (or at least ratcheting down) the aha-moment enlightenment expectations that are often attached to singer-songwriter music. Hers is a different ride: a stretched-out slow reveal that requires some willingness to be enveloped by mists and vapors. It's endlessly deceptive: Simple building blocks rarely lead to such nuanced, refracting and shape-shifting music. Pratt made her first two records, a 2012 self-titled debut and 2015's breakthrough On Your Own Love Again, entirely alone on lo-fi gear. For this one — the first she's recorded in a professional studio — she sought input and instrumental contributions from producer Al Carlson and multi-instrumentalist Matt McDermott. This change opens up Pratt's music ever so gently, bringing splashes of color to vast open spaces. When the curtain rises on Quiet Signs, we're sitting near an indifferently tuned upright piano in an echoey room. The pace is calm and deliberate, and as the stair-step melody unfolds, Pratt can be heard in the distance, as though in the back balcony of a church, humming her own meditative counterpoint. She returns to that same melody in the next track, "As the World Turns," and this time it's more declarative and differently evocative — like Satie, Pratt is interested in the ways atmospheric conditions can be altered in microscopic ways, from one note or chord to the next. Pratt shares something else with Satie: a sense, embedded deep in the core of her art, that she's been dropped by cosmic accident into the wrong era. The resolute optimism of her last album recalled the major-key "Good Morning Starshine" moment of '60s pop; Quiet Signs is similarly disassociated, in different ways. Its deliberative and serene aura offers temporary respite from the nerve-jangling rush of smartphone life, and its lingering, haunting melodies beckon from a time when it was OK to walk slowly and think fantastically vague thoughts about things.